Andrews Heat for Hire was recently involved with a major agricultural event that takes place annually in the county of Aberdeenshire, Scotland. The well-known show takes place over a six-week period and includes animals competitions, trade stands, music, arts, children’s activities and other popular attractions. Given that the festival was scheduled to take place during the height of winter, the organisers were extremely keen to source a temporary heating solution to ensure visitors were kept warm throughout. After originally being contacted over the phone, an Andrews specialist was sent to site to assess the situation, speak to the customer and come up with a heater hire package that was befitting of the application. 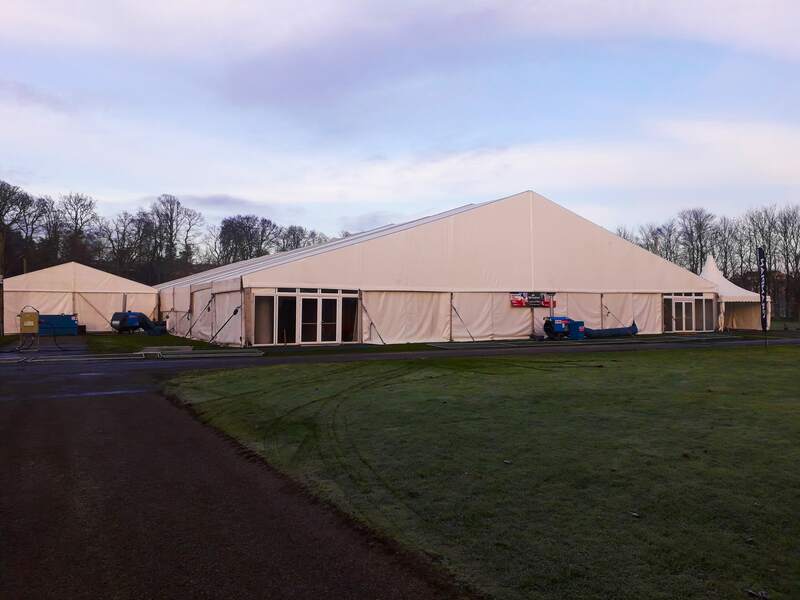 After carrying out a site survey, our engineers installed six ID65 Indirect fired oil heaters outside the client’s main marquee and used ducting to ensure large volumes of warm air would raise temperatures inside. These units were specifically selected because of their aptitude for delivering a safe and clean supply of hot air to environments where constant operation is required. We received the enquiry during the Christmas period, and our team was able to react extremely quickly to provide a perfect solution despite the short notice. Fuel buggies and tanks were also provided to ensure the heaters could run unattended for extensive periods, as was necessary. Our equipment is scheduled to remain with the customer until the event’s conclusion and our regional engineer has since revisited site following installation to make sure everything is still functioning as planned. We’re pleased to report that our solution has successfully combated the bitter Scottish weather and allowed guests and visitors to enjoy their experience. 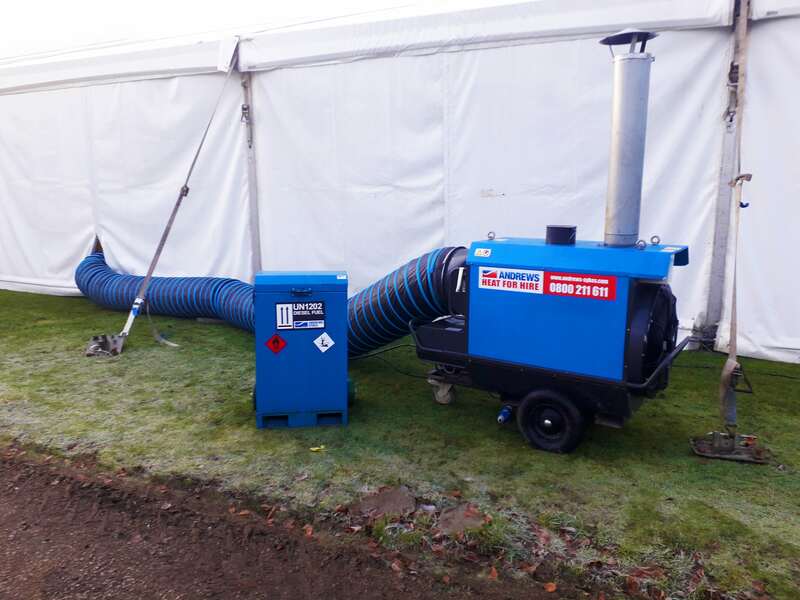 This article was posted in Case Study, Heater Hire and tagged Andrews Heat for Hire, Heating Sector - Marquee. Both comments and trackbacks are closed.